At Blagdon Farm we have 8 luxury lakeside lodges and a Caravan Club Certificated Location site set in 10 acres of peaceful Devon countryside within minutes of the South West coast. All our lodges are South-facing with magnificent views across our own 1.5 acre coarse fishing lake to the rolling Devon countryside beyond. 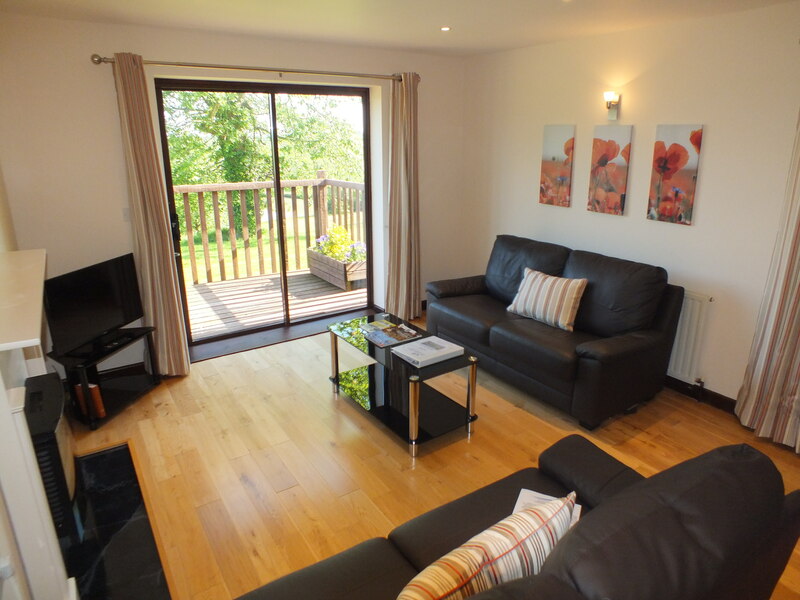 We have 1-bedroom and 2-bedroom lodges (some with sofa beds in the lounge area) which can accommodate up to 6 people. 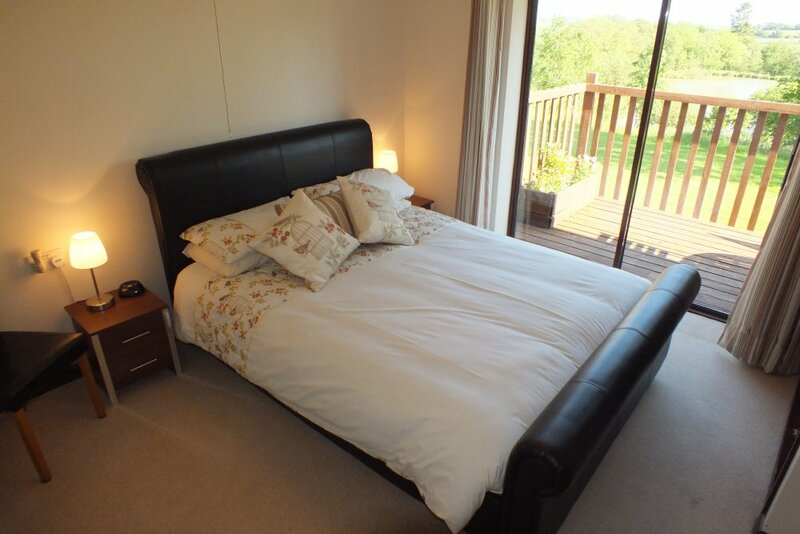 Lodges have individually controlled gas central heating and double glazing so even in winter you’ll be really snug. Heating, hot water, electricity, bed linen and towels are included in the cost of your holiday. 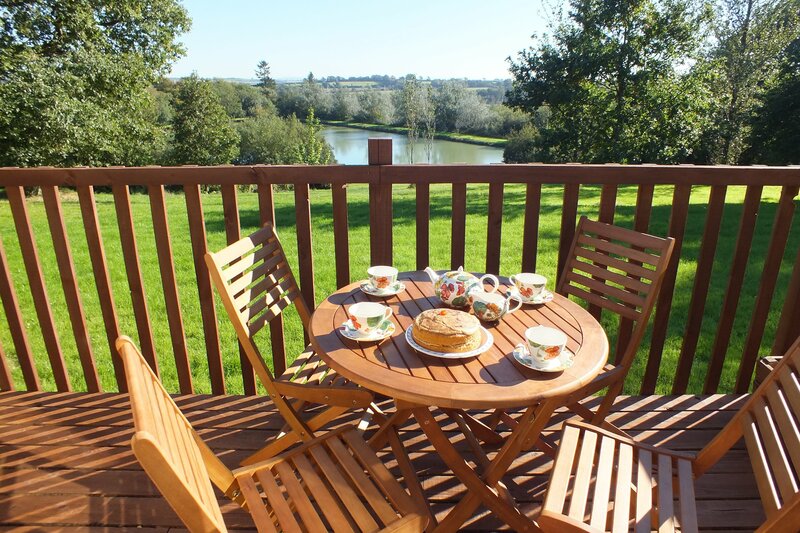 Each lodge has a South-facing private terrace overlooking the coarse fishing lake which is accessed through wide patio doors from the lounge area (and also the master bedrooms in the 2 bedroom lodges). The lodges are exceptionally well equipped having HD TVs with built in DVD/CD Players, washer/dryers, cookers, microwaves, dishwashers (except Woodpecker), and fridge/freezers. There is also free WiFi throughout the site. All our lodges were purpose built to be fully-accessible and are all on ground floor level with no steps, extra wide doorways for wheelchair users, roll in wet rooms, low level kitchen work surfaces and lever taps. Each has a large covered porch area and most have an external socket for storing and charging mobility equipment. We also have a range of mobility equipment available for hire including hoists, wheelchairs, shower chair/commodes, raised toilet seats, bed rails and raisers. 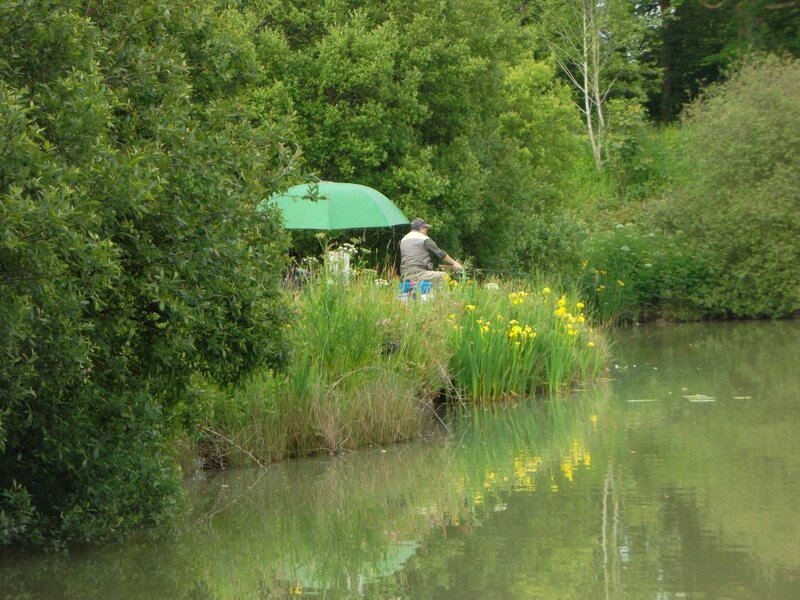 Our facilities include a 1.5 acre coarse fishing lake stocked with Carp, Rudd, Roach, Golden Tench, Perch and Golden Orfe. There is an indoor heated swimming pool (open from Easter until the end of October and again during December) which has hoist and wide step access, hand rails around the perimeter and fully accessible changing rooms with roll in showers. Dippers, our licensed bar, is open 3-4 nights each week and stocks a good range of wines, spirits and beers including local Ales from Holsworthy Brewery. We also have an accessible games room equipped with pool table, mini table soccer, x-box and a book/games library. There’s an orchard and woodland trail and we welcome dogs in 3 of our lodges (Curlew, Chaffinch & Kestrel) as well as on the certificated location caravan site and have a special field where dogs can be let off the lead. Blagdon Farm is the perfect place from which to explore both Devon and Cornwall. Set in the heart of Ruby country (so called after the Ruby Red cattle farmed locally) we are only a few minutes from the wide sandy North coast beaches at Bude and Widemouth Bay, the stunning Cornish resorts of Boscastle and Padstow, and the spectacular scenery of Dartmoor. The ancient port of Clovelly and historic Tintagel Castle are close by and the attractions of the Eden Project, the Tate St. Ives and RHS Rosemoor Gardens within easy reach. Nearby, in the pretty market town of Holsworthy you will find excellent local produce and a market every Wednesday. There are supermarkets in Holsworthy, Launceston and Bude with deliveries available from Tesco, Asda and Waitrose.